From German and Austrian point of view, the second Masters tournament of the year was by no means as desired. Dominic Thiem, Alexander Zverev or Angelique Kerber all had to give up surprisingly early. 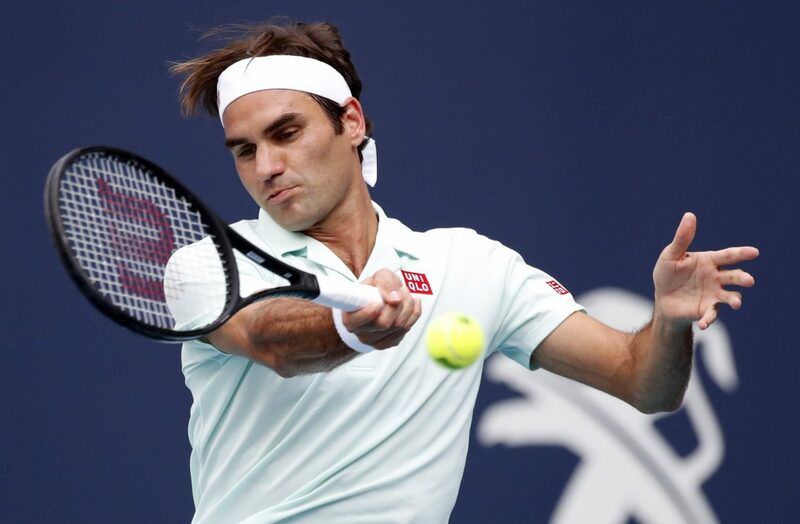 Roger Federer made his first appearance on stage, but still pulled his head out of the noose and presented himself much stronger in the second game. In the round of 16, Roger Federer meets Daniil Medvedev from Russia. On Monday, both players were already in the day session in Florida in use. Roger Federer overslept the start against Krajinovic, but had no more problems after that. A very heavy duty contested Daniil Medvedev. Against the tall American Reilly Opelka, there was not a single break in less than 2:30 hours. All three sets were decided in tiebreak – with the better end for the favorite from Russia. In the quarterfinals between Roger Federer and Daniil Medvedev a odds of just over 1.30 is offered for a victory of the Swiss.  Current ranking in the world rankings: 15. 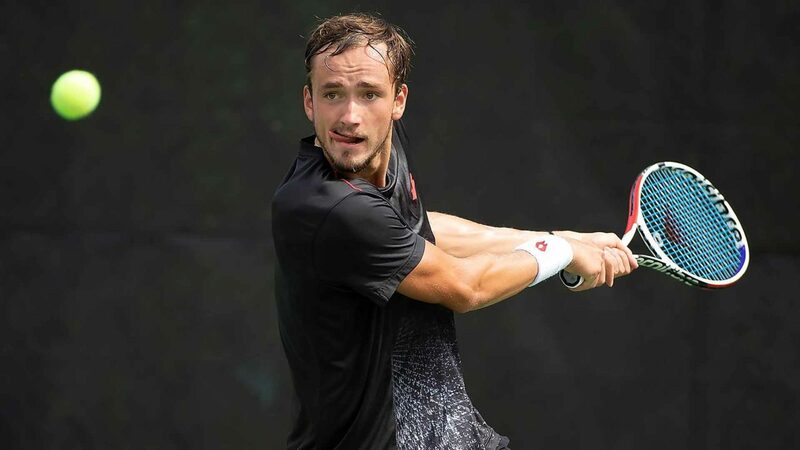 2018 was an outstanding year for the Russian Daniil Medvedev. The Russian finally established himself in the tennis world class. With 53 wins and only 25 defeats he finished the past season. Among other Medvedev celebrated at the tournaments in Sydney, Winston Salem (each 250cc) and Tokyo (500) the tournament victory. Hard court is undoubtedly the favorite deck of the strong Russians. Also this year he could already book a tournament victory for himself. In Bulgarian Sofia defeated Medvedev in the final Marton Fucsovics. Thanks to the strong performance in the last twelve months, the Russian is now ranked 15th in the ATP world rankings. Also Roger Federer scattered Medvedev Rosen and described the development of the Russians as “unbelievable”. After the clear win against Adrian Mannarino in the second round (6: 2, 6: 1) the match against local hero Reilly Opelka was not a match on the highest level. Short rallies were the order of the day, as Opelka, over two meters tall, is currently the biggest professional on the tour. Accordingly, the service is its strength. Medvedev got no rythm. In return, the Russian dominated his serve games, as Opelka is considered an extremely limited return player. Only 19 out of 106 points gave Medvedev the service – an outstanding statistic, but not too high. Roger Federer will play a very different game on Center Court. Victory over Opelka was the 17th victory of the season in the 22nd match for Medvedev. However, the form of Medvedev at the start of the season was even more impressive. In recent weeks there have been some surprising defeats. Against Filip Krajinovic – Federer’s third-round opponent – put it in Indian Wells a significant 3-6 and 2-6 defeat. So far, Medvedev presented strong in the stadium of the Miami Dolphins, but a real endurance test, he did not exist. Accordingly, between Federer and Medvedev with odds in the range of 3.60 no value to discover.  Current ranking in the world rankings: 5. Macedonian Radu Albot was an absolute surprise bag for Roger Federer in the second round of Miami. The number five in the world has never before played against Albot and had great problems to adjust to the game of the underdog. The close success in three movements was by no means a gala performance of the Indian Wells finalist. But Federer struggled on – a fact that neither Dominic Thiem (against Hubert Hurkacz) nor Alexander Zverev (against David Ferrer) succeeded. The match against Krajinovic started much like the one against Albot – with an early loss of the Swiss. But with the game of the Serb he had little problems – he succeeded immediately the rebreak. After all, Krajinovic was not a blank sheet for the Swiss either, as the Serb was already allowed to train several times with Federer as a teenager. After only 90 minutes Federer fixed the entry into the second round of Miami. Federer almost achieved a perfect last serve with four aces. After three aces, the fourth serve was just millimeters off. Strong 35 Winner beat Federer in the two sets and obviously had fun to vary his game. Last year, the Swiss had to say goodbye to Miami in the second round. The Swiss lost at that time as defending champion against Thanasi Kokkinakis. In the world rankings Federer – currently fifth – can thus increase his points account again. Should he win the game against Daniil Medvedev, he would overtake Dominic Thiem again and return to 4th place. Federer has an outstanding 19: 2 balance in 2019. Despite his 37 years, he is still fit and can easily compete with the much younger opponents. The self-confidence is also noticeable in his service performance. Games with well over 70% first serves are not uncommon this season. In the second round between Federer and Medvedev is a tip on the victory of the Swiss obvious. Last October, the Swiss and the Russian faced twice in just under two weeks. The first meeting took place at the Masters tournament in Shanghai. Medvedev was able to challenge Federer in the second round and forced the Swiss veteran into a third set. In the end, however, the house-high favorite prevailed. A little later, it came in Federer’s home Basel in the semifinals for another duel. This time, Federer had no problems and was clear in two sentences. It is always impressive how easily Roger Federer hovers over the tennis court at the age of 37. After the initial problems in Miami, he has increased significantly and is in this condition a hot candidate for the title win. Daniil Medvedev, current number 15 in the world, is certainly not a self-runner, but a failure of the Swiss is hard to imagine. Between Federer and Medvedev is a tip on the success of number five in the world the logical choice. ↳ After the mixed start against Albot Federer presented himself much stronger against Krajinovic! ↳ In October 2018 Federer and Medvedev faced each other twice – both games won Federer! ↳ Medvedev has a strong 17: 5 balance in 2019! However, this tip is not particularly profitable given the odds offered. Medvedev was able to convince in the first two laps with his strong service, but Mannarino and especially Opelka are several classes weaker in return than Federer. The Swiss is his first test of endurance and basically Federer loves players like Medvedev. This matchup brings clear advantages in favor of the Basler and accordingly, a tip on the clear 2: 0 sentence success is made between Federer and Medvedev.